Hello friends, Today I will tell you a method on how to use whatsapp video calling. You can use this fantastic feature of WhatsApp video calling without any additional features. It is an inbuilt method to use WhatsApp video calling. 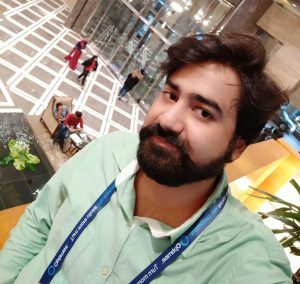 I will also share about WhatsApp video call data usage. You can check how much data WhatsApp consume on a video call. The video feature of WhatsApp is entirely free for its users worldwide. Have you ever tried WhatsApp video calling feature? Are you saying No? Well, don’t worry because in this article I will be showing you the best method and full step by step guide for using WhatsApp video calling facility. However, you have to update your WhatsApp app to the latest version. Also, make sure that you have a great speed of internet connection do use WhatsApp video calling feature on your smartphone. Moreover, we will be discussing some words about how much the WhatsApp video call data usage is? I would also like to tell you that this is a quick guide which I am presenting in front of you to let you show that how easy it is to use WhatsApp video calling. Let us check it out. The time has come, now we will get to know the easiest way to use the WhatsApp video calling feature. Also, we are going to experience the most necessary feature of WhatsApp which is very amazing. The most important part is that you and your recipient must have the latest version of WhatsApp to use WhatsApp video calling feature. But, if you are not on the latest version of WhatsApp app then, go to the App store and update the WhatsApp app now. So, you have updated your WhatsApp app? 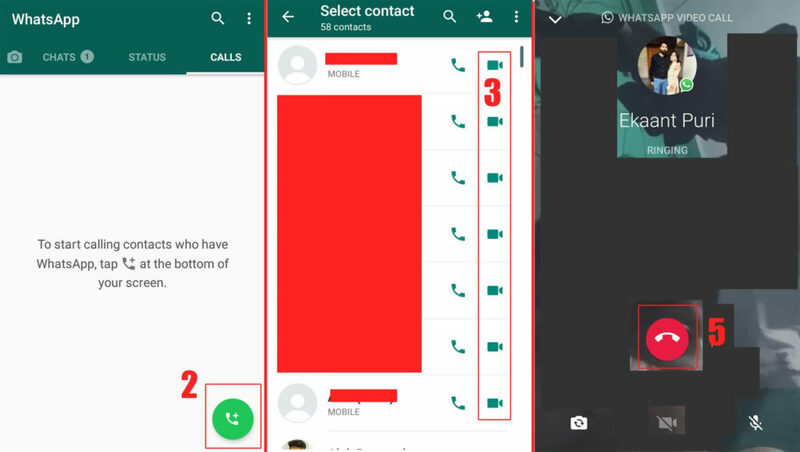 Now, without more discussion lets move on to the step by step guide and let us start using WhatsApp video calling feature. Open the WhatsApp app on your Smartphone. Now, tap on the Calls option. Then, click on “+” button. Now, choose your contact and then click on Video icon. Now, you will see that WhatsApp video calling feature has started. Lastly, to end the video call, just click on the Red Phone icon. Woohoo! You now used WhatsApp video calling feature. So, head up to WhatsApp app and start doing a video call with your friends or relatives. If we talk about the WhatsApp video call data usage, then its very tough competition in between WhatsApp and other apps which provides video calling feature like Skype, Viber, Wechat, etc. But, according to the survey, it says that WhatsApp consumes approx 740KB per minute. Which is much better than Skype. However, Skype is the most used service in talking about video calling and voice calling. But, people nowadays use WhatsApp so that they want everything instantly and they hit the video call button on WhatsApp. Recent surveys also tell us that WhatsApp video calling is consuming less data than Skype. But, WhatsApp is not in the first position which gives you the best video calling feature and consumes decidedly fewer data. Moreover, the fact is that apps like Nimbuzz, Line, Viber uses the much lesser amount of data than WhatsApp. We have learned the way to use WhatsApp video calling, and we also get to know the data consumption of video calling on WhatsApp. It is evident that the video calling feature of WhatsApp is free of cost. But, it may depend upon the internet connection that how correctly you are using the video calling feature of WhatsApp. Similarly, it is also evident that WhatsApp video call data usage may vary according to the data provided to the video calling facility to WhatsApp. Share this article with your friends and let both of you enjoy the WhatsApp video calling feature on your Smartphone and start a video calling now.